The right strategies for defogging your auto glass will ensure clear visibility and reduce the risk of accidents. Temperature often plays an important role in determining the best approach to defogging your windshield. Your Houston windshield repair company may be able to provide you with expert guidance on the right defogging solutions for your vehicle. Open your vehicle windows for a short period to allow fresh air to enter your car, truck or SUV. This is especially important for vehicles that have been stored indoors for 12 hours or more. Turn your vehicle’s defrost to its hottest setting. Turn on the AC setting to extract moisture from the air hitting your windshield. Turn your climate control system to fresh air intake rather than recirculated air. Wait for the fog to clear before driving away. This process will typically produce fast results and allow you to see clearly from behind the wheel. Turn on your windshield wipers. This will remove excess moisture from the outside of your windshield. If practical, change the flow of your climate control system to move it away from the windshield. This can prevent the build-up of moisture on your windshield while keeping the inside of your vehicle cool and comfortable. 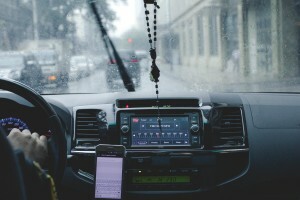 Turning down your air conditioner to allow the inside of your car to warm up can also provide added help in countering fogginess on hot and humid days. At Apple Glass, we specialize in the most advanced Houston glass repair procedures to restore your vehicle to its original pristine condition. Our Houston windshield repair team can come to your location or provide you with outstanding service in one of our two brick-and-mortar locations. We also offer residential glass services to repair or replace window panes, mirrors, tabletops and many other glass installations in your Houston home. Call us today at 713-680-1400 in Houston or at 281-296-0600 in The Woodlands to schedule an appointment with us. We look forward to the opportunity to serve you. This entry was posted in Auto Glass and tagged Houston Auto Glass, Houston Glass Repair, Houston Windshield Repair. Bookmark the permalink.